This past weekend Char and I had been planning to start installing the siding on the house, but it was forecast to rain for three days straight. We had already put in requests to take a vacation day on Friday, so we had to find other work we could do on the house. Thankfully I’m learning to plan ahead, so we had some interior building tasks saved up. First, we picked up the propane fireplace that will heat the house in the winter. It’s large, but one thing we heard early on is that the mini boat heaters just don’t cut it in New England weather. This fireplace can really pump out heat when it’s cold, and the turn way down so we don’t overheat. 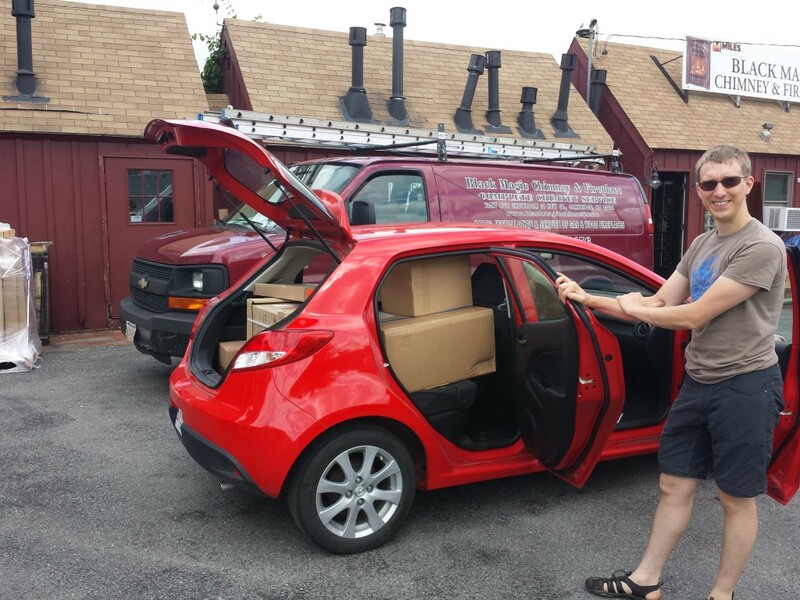 The guys at the fireplace company thought there was no way all the boxes would fit in my car, but I showed them! Also to help prepare the house for the fireplace, I cut a hole in the side of the house for the exhaust vent. The heater goes in the yellow rectangle, and the exhaust goes out the hole. 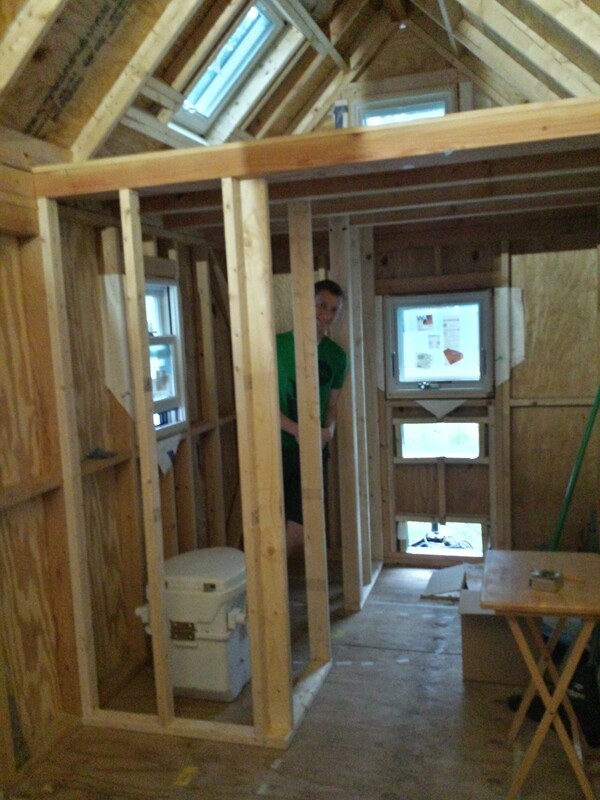 Char and I also installed the studs for the bathroom walls. 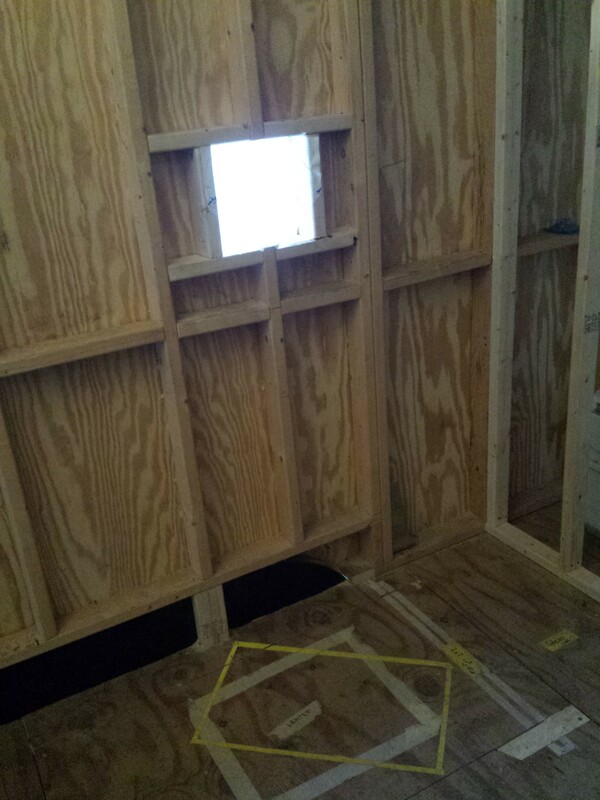 The interior is starting to really take shape! 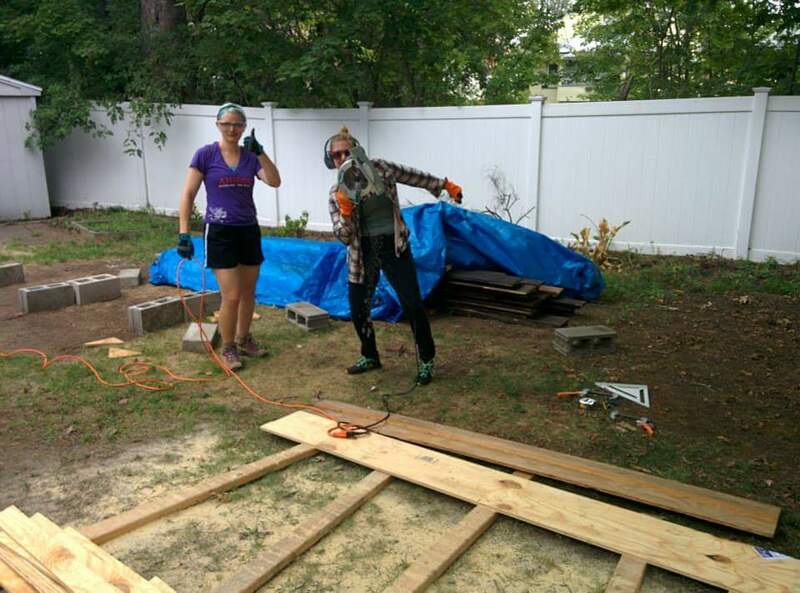 On Sunday, it didn’t actually rain at all, so Char and her friend Ruth worked on cutting furring strips for mounting the exterior trim. Despite not having a lot of circular saw experience, they both did an excellent job. Despite the rain, we really made a lot of progress this weekend. Soon enough the siding and trim will be up and the exterior will be done!